NOTE: Each image in the article below links to a larger version of the image. "The year is 1968. What was previously unthinkable has finally happened. A black film star, not born an American citizen, has risen above all the other film icons of the era, the John Waynes, the Doris Days, and the Clint Eastwoods, to become the most popular star in motion pictures. 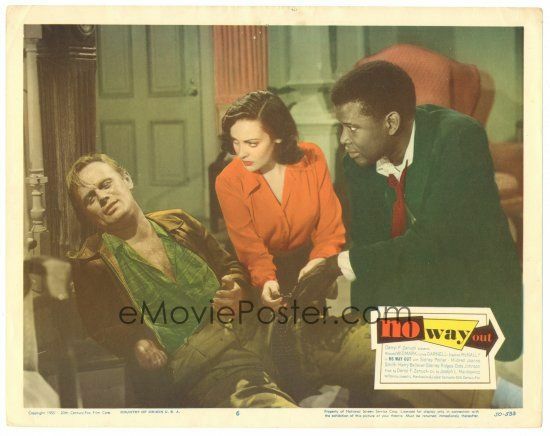 Poitier, an extremely talented and savvy performer, had been building trust with fans and film critics since his auspicious 1950 debut in Joseph L. Mankiewicz's Noirish drama NO WAY OUT. 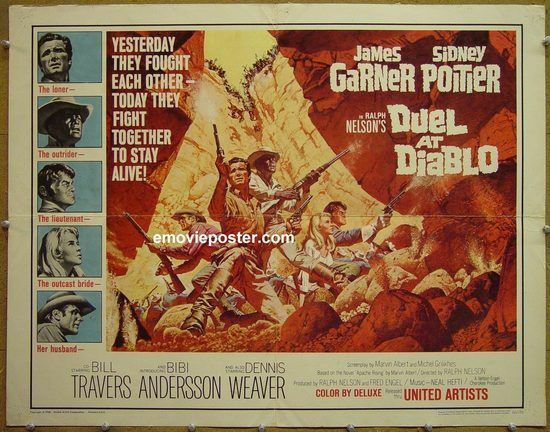 And in the tradition of many Western heroes as the fearless, wise-cracking gunfighter in the oater DUEL AT DIABLO. 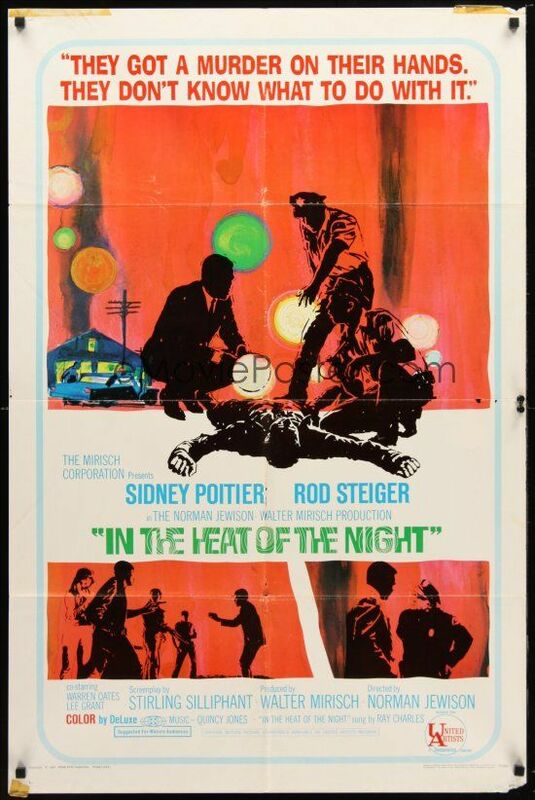 1967 was a breakout year for the actor with an unprecedented trifecta of box-office smash hits: IN THE HEAT OF THE NIGHT, GUESS WHO'S COMING TO DINNER? 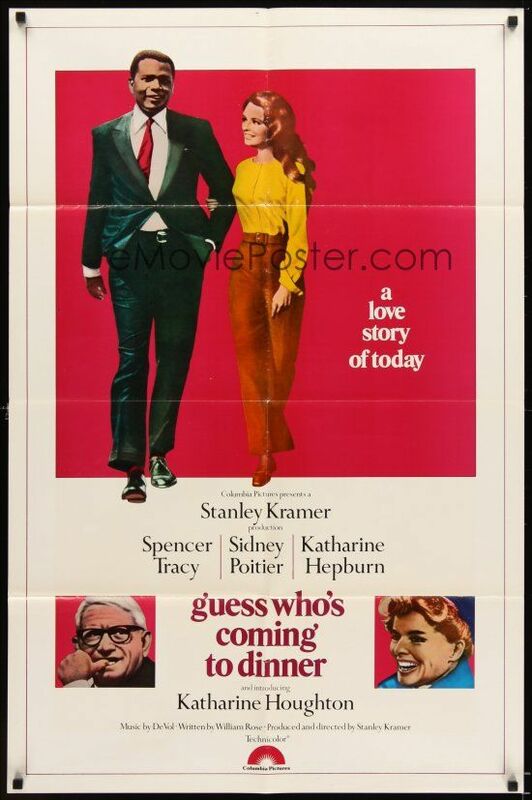 (both winners of multiple Oscars) and TO SIR, WITH LOVE, which should have won the "Best Song" Oscar and served as an unofficial signature song for the actor. This major achievement was a result of Poitier's judicious selection of roles and carefully crafted image, but the road to success was not an easy one as the actor had to overcome decades of struggle against a film industry that traditionally had negatively stereotyped African-Americans as well as other ethnicities. The series will include thumbnail sketches of other performers who preceded Poitier, and it recognizes that many of these now-forgotten, semi-anonymous black actors went against the grain of that unfair system and made contributions that ultimately led to Poitier's breakthrough achievement. Many of the sketches in succeeding weeks will be necessarily brief because of space and time constraints but that doesn't lessen the contributions of these pioneers."